While pillion gets off the seat, be it a Saree or pant, it invariably gets struck in he side protrusion of the stand being. Missing just a little detail can create problems in a product. This is an example where just some extra length of a stand can cause the passenger to loose the balance while getting down and may fall down. 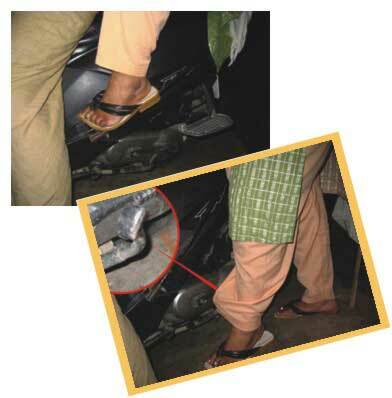 This may even cause the rider also to lose his/her balance & may fall along with the vehicle.